Where else but the Northern Rivers? How many times do you hear or think this? Have you ever experienced that moment of homecoming when returning from the Gold Coast airport, on the Pacific highway (just near the old ‘tropical fruit world’) where you look over the cane fields towards Wollumbin and something stirs in the belly and heart as you enter the (gasfield free) Northern Rivers. A special place ecologically, culturally, and politically. This is the community that fought off the fossil fuel industry by non-violent direct action and won, this is the place where a Green run Council has for years kept Byron shire free of high rise apartments, and the creeping sameness of McDonalds, KFC and Hungry Jacks, and instead become a national destination for great music festivals, whale watching and grassroots democracy. This is the place where independent media like Nimbin Good Times and Echonet daily challenge corporate media to inform and empower the community. We are the region that birthed environmental blockades and the most prominent region for the new settler movements from the 1970s onwards, but it goes back further, the NORCO cooperative began in 1895 as a very early regional act of collective organisation and a resistance to corporatisation. We are now national leaders in rooftop solar uptake and social enterprise. The list goes on. The Northern Rivers is about breaking out of old, tired ways of doing things and making a fresh start. So inevitably I’m going to get on to politics. Why would a region like ours be content with being held captive to the alternating tedium of the two party system when we know we are more creative than that? We first surprised the nation way back in 1990 when a surge of support for independent candidate Helen Caldicott caused the then National Party leader to lose the Federal seat of Richmond. It’s been a very long journey trying to break the powerful two party duopoly in the Northern Rivers but it is well underway. In 2004 Jan Barham became the first Green mayor to be popularly elected in NSW. In 1995 Ian Cohen from our region became the first Green in NSW parliament. In the 2015 state election Tamara Smith was the first woman to represent Ballina electorate and the first Greens candidate to take a National Party stronghold. 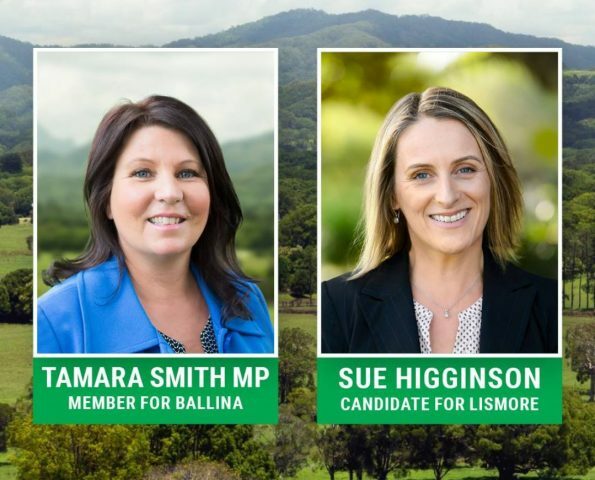 Lismore very nearly fell to the Greens that year as well, but the entrenched status quo narrowly held on for another four years. This year high profile Greens candidate Sue Higginson is on track to deliver another historic power shift away from the old duopoly parties. The favourite argument put forward by the major parties in this region to discourage people from voting Green, is that you need to have a local member who is part of a governing party. This is an attempt to bribe and coerce the voters. This threat, and it comes from both Labor and the Nats, is an admission of political corruption that is so in-your-face, so routine, that they barely can see it for what it is. It’s worse than pork barreling, it’s an admission of what the Greens have been saying all along, the two party system is broken and corrupt. If we keep voting for the same broken system we will keep getting more and more of this entrenched and corrupted logic. Shifting seats from the grasp of the duopoly parties makes way for new beginnings and also brings renewed political focus to local seats. Since Tamara was elected in Ballina there has been a whopping 32% increase in spending in that seat. 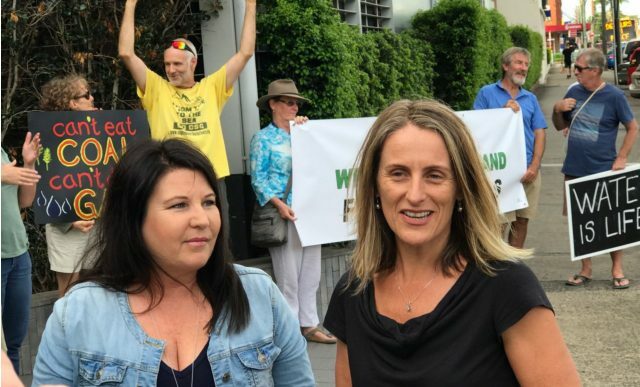 If the Greens gained balance of power in the tightly contested NSW election next year, the clout of the Northern Rivers would be enourmous in the new parliament. The Greens held the balance of power in both houses of federal parliament under the Gillard government and they achieved so much including pushing Labor to put a price on carbon, government assistance for child dental health, and democratic reform of the Senate voting system. The Northern Rivers is growing greener year by year as people come to value our region’s identity as a national driver of progressive change. Our rivers need help, our forests need help, our state political system needs a major clean up, our regional farming sector needs revitalizing. The Northern Rivers Greens are home grown and community based. It just makes sense that a region like ours would do politics differently. Fighting the power of the two party voting system is not an easy task, so it remains always essential to use your preferences wisely. Whilst the duopoly is uninspiring, there is still a very big difference between Labor and the Nationals when it comes to social justice and even the environment. Labor is very much the next best option after the Greens on these issues so make sure you number one and two, it’s the best you can do.